Most people prefer sleeping on their sides. This position requires a mix of both support and conformity. If our bodies were flat, lying on a hard smooth surface might feel great. However, with the curves and contours of the human anatomy, we need a bit more pressure relief. This is especially true when searching for the best mattress for side sleepers. Without proper contouring, pressure points can form at the shoulders and hips. This causes a reduction in blood flow which prompts your body to change positions more frequently. Constant sleep disruptions limit you ability to attain rem sleep.A combination of the right support and comfort is key to great side sleeping. Some studies conclude almost as much as two thirds of the population prefer this position. With over 20 years of mattress sales experience, our customer interactions anecdotally reflect that number. 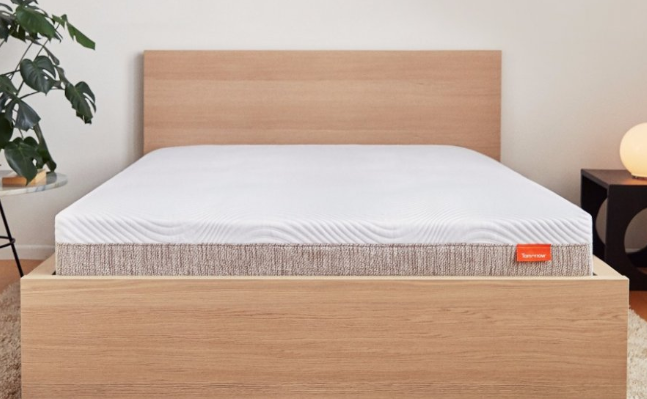 While so many enjoy sleeping on their sides, it's surprising to see that many online mattress companies have not fully catered to all side sleepers needs. It's common for many bed in the box companies to produce only one firmness level; typically a medium firm. This reduces production costs and streamlines operations. In theory, choosing a medium firm appeals to the widest range of comfort preferences. But, while this feel may be the logical choice for most side sleepers, individuals with higher sensitivities to pressure points often appreciate a softer feel. The ability to offer multiple firmness options give manufacturers who do, a distinct advantage. We've chosen to feature brands that rank high for support, comfort and overall value! *BestSlumber receives affiliate commissions (at no additional cost to the buyer) on products featured throughout our site. It is our mission to provide unbiased insight on how to find the best possible sleep solutions. Tomorrow Sleep is a pocketed coil & high density memory foam hybrid backed by the Serta Simmons Company. This mattress provides superior support and two distinct firmness levels. Unlike traditional memory foams, Tomorrow sleep, is breathable and sleeps cool! This outstanding hybrid offering is priced well below retail mattresses of similar specifications. The Medium Firm will accommodate side sleeper who are looking for support, but a little bit of pressure relieving body contouring. The Medium Soft is a great option for side sleepers seeking a plusher more conforming feel. Equally as supportive as the Medium Firm, this mattress cradles and hugs your body providing exceptional pressure relief. 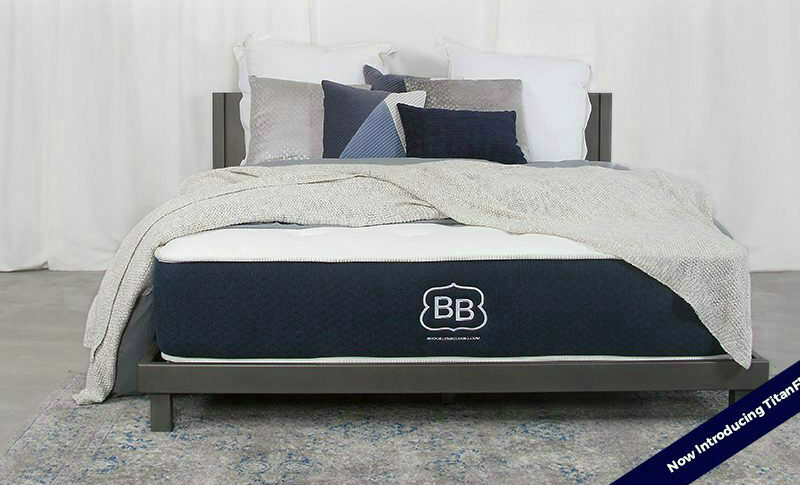 The Brooklyn Signature, "#Best Bed Ever" by Brooklyn Bedding uses TitanFlex technology to obtain its unique support and comfort feels. This proprietary foam was designed to provide latex like qualities but, with a bit more pressure relief and less heat retention issues. The Brooklyn Signature is offered in Firm, Medium and Soft comfort options. For the purposes of our side sleeping discussion, we're omitting the firm. While it's a nice option for back and stomach sleepers, the firmness level is a bit too robust for most side sleeper. The Medium offers solid support and a reasonable amount of pressure relief. While reviewing this mattress, we found this bed to have a feel more in line with a medium firm than a medium. With that said, it is still a viable option for side sleepers who still prefer a bit firmer more structured support. The Soft is a better option for side sleepers desire a cushier overall feel. The support offered is still exceptional but with more pressure relief and conformity. 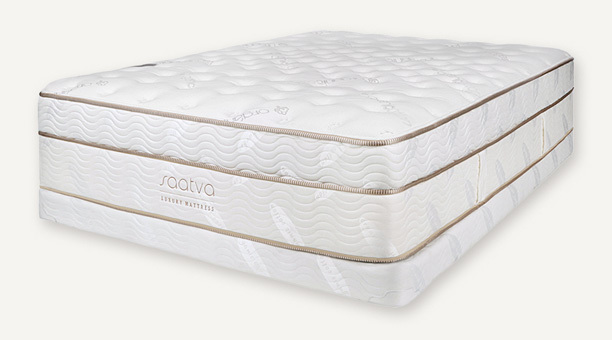 Over the last few year, Saatva has grown into one of the most successful and respected online mattress companies. They have attained their success by offering an exceptional coil on coil mattress at a great price! Saatva offers 3 unique comfort feels; Firm, Luxury Firm and Plush Soft. While the Firm is too rigid for most side sleepers, the remaining options should be considered. The Medium Firm offers that not too soft, not too firm feel that appeals to many. It provides enough conformity for a large portion of side sleepers. If you want a softer more pressure relieving feel, we recommend the Plush Soft. The Plush Soft has the same solid coil on coil system as the medium firm and firm. For side sleepers looking for that softer feel that hugs the shoulders and hips, this is it! 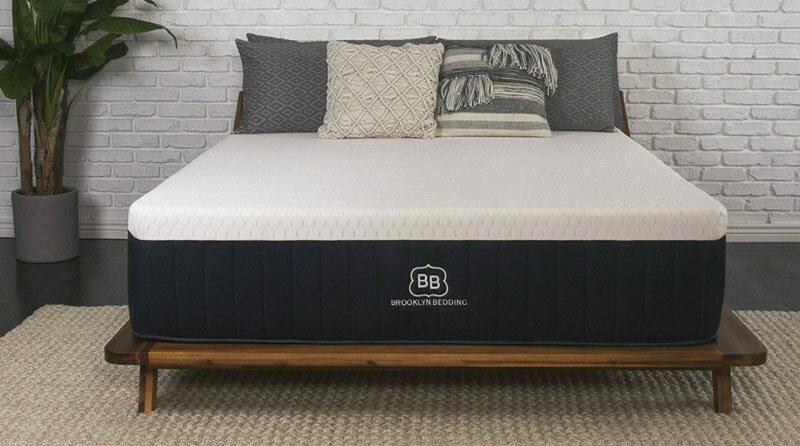 In November 2017, Brooklyn Bedding launched their exciting new luxury mattress. Earlier this same year, the company successfully introduced TitanFlex technology. This high density proprietary foam was designed to have the buoyancy of latex with the pressure relief of memory foam. 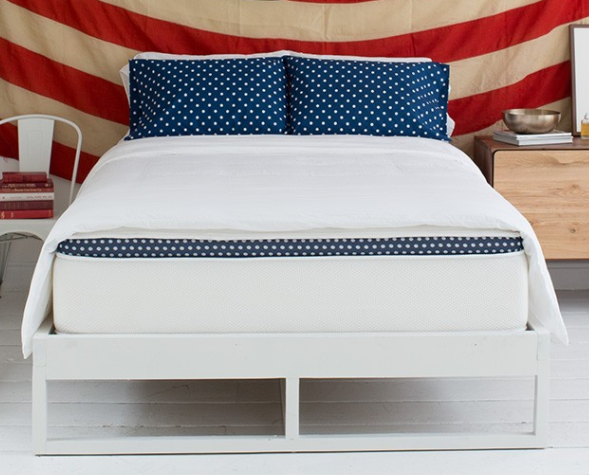 TitanFlex was first utilized in Brooklyn Beddings original Signature mattress. After an impressive debut as an all foam bed, TitanFlex was then combined with a substantial coil unit to create the Brooklyn Aurora. The mattress is made in Firm, Medium and Soft. but for most side sleepers the Firm is too rigid. The Medium offers just the right blend of softness and support to accommodate most side sleepers. Pressure relief with a little bit of bounce make this the preferred feel by many. The Soft provides additional plushness and contouring. While the medium is soft enough for most, the soft is the answer for those seeking maximum conformity. WinkBeds are hand crafted and made to order in Watertown, WI. The company's goal since day one has been to produce an affordable luxury mattress. Individually pocketed coils and an extra layer of micro coils offer superior support. Dense polyurethane foams infused with cooling gels allow for great conformity and pressure relief. Winkbeds are produced in a Firm, Luxury Firm and Soft. Our recommendations for side sleepers is either the Luxury Firm or Soft. The Luxury Firm is the right choice if you like some body contour without sinking too deep into your mattress. It is also meets the requirements of most back and stomach sleepers. The Soft will be your choice if you are primarily a side sleeper and prefer more of a sink-in cushy feel. Keep in mind, we are talking about a difference in softness, not support. Choose the comfort feel that best suits your individual needs. 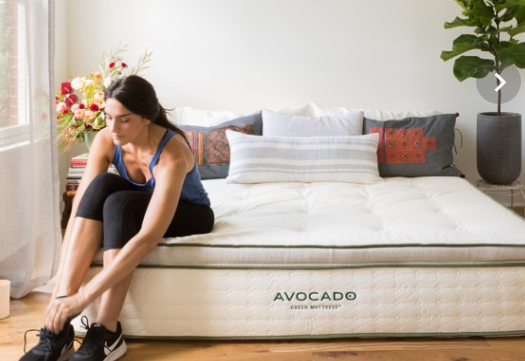 Avocado Green Mattress features 100% natural latex natural wool, certified organic cotton and up to 1,414 pocketed support coils. This bed combines the buoyant pressure relieving qualities of latex, with the superior support of a quality coil spring. This quality hybrid organic mattress is made in two firmness levels. The Standard, is a gentle firm feel best suited for back and stomach sleepers. Add the optional 2" latex pillow top to create a soft but buoyant feel that's ideal for most side sleepers. The Standard / Optional Pillow Top has a feel that is distinctively different from other other mattresses listed in this category. With 5" of natural latex, the Avocado Green Mattress has plenty of conformity and pressure relief. It also has a bit more bounce. Many consumers describe the feel as floating on top of the bed.